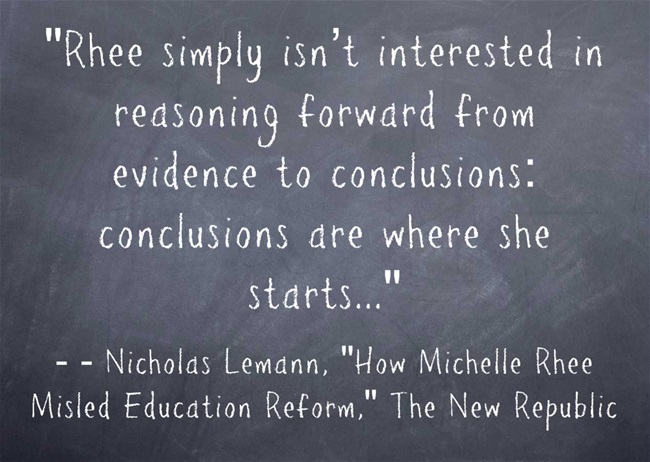 How Michelle Rhee Misled Education Reform is an extraordinary article in this week’s New Republic magazine. It’s written by Nicholas Lemann, dean of the Columbia Graduate School of Journalism and author of several exceptional books. 4 concerns about Michelle Rhee is a short piece I wrote for The Washington Post.